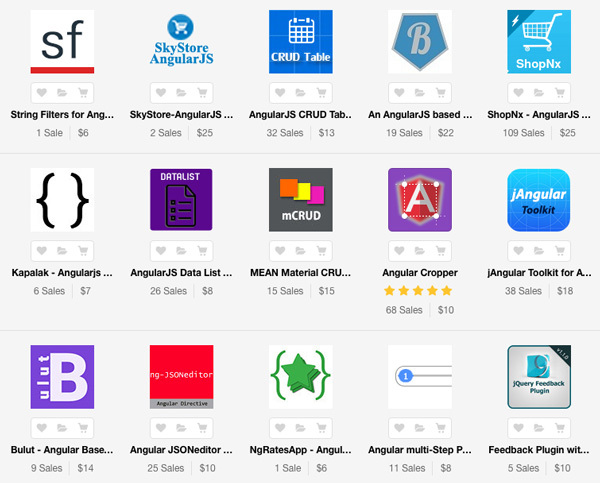 To get an idea of what you can do with AngularJS, check out the range of AngularJS items on Envato Market. You can find an image cropper, an eCommerce web application, a JSON editor, and much more. In this article, we will cover a few of the most important AngularJS concepts to get the "big picture." It is my goal that, after seeing some of these features, you will be excited enough to go and build something fun with AngularJS. Think of your model as the single-source-of-truth for your application. Your model is where you go to to read or update anything in your application. Data-binding is probably the coolest and most useful feature in AngularJS. It will save you from writing a considerable amount of boilerplate code. A typical web application may contain up to 80% of its code base, dedicated to traversing, manipulating, and listening to the DOM. Data-binding makes this code disappear, so you can focus on your application. Traditionally, when the model changes, the developer is responsible for manually manipulating the DOM elements and attributes to reflect these changes. This is a two-way street. In one direction, the model changes drive change in DOM elements. In the other, DOM element changes necessitate changes in the model. This is further complicated by user interaction, since the developer is then responsible for interpreting the interactions, merging them into a model, and updating the view. This is a very manual and cumbersome process, which becomes difficult to control, as an application grows in size and complexity. A viewmodel is an object that provides specific data and methods to maintain specific views. This division creates a solid foundation to architect your application. The $scope has a reference to the data, the controller defines behavior, and the view handles the layout and handing off interaction to the controller to respond accordingly. Dependency Injection (DI) allows you to ask for your dependencies, rather than having to go look for them or make them yourself. Think of it as a way of saying "Hey I need X', and the DI is responsible for creating and providing it for you. To gain access to core AngularJS services, it is simply a matter of adding that service as a parameter; AngularJS will detect that you need that service and provide an instance for you. Directives are my personal favorite feature of AngularJS. Have you ever wished that your browser would do new tricks for you? Well, now it can! 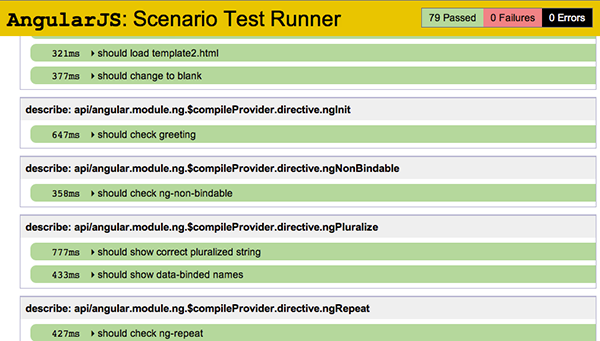 This is one of my favorite parts of AngularJS. It is also probably the most challenging aspect of AngularJS. Directives can be used to create custom HTML tags that serve as new, custom widgets. They can also be used to "decorate" elements with behavior and manipulate DOM attributes in interesting ways.